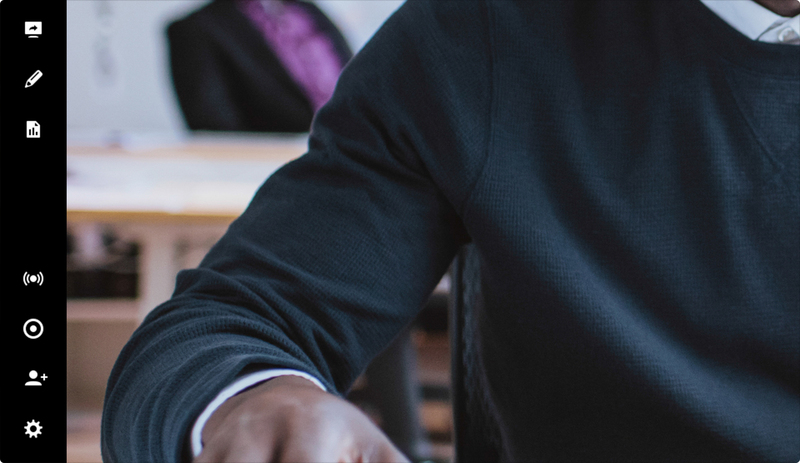 Full-featured, interactive, HD video broadcasting to your Facebook page or your YouTube channel, and save it for later playback. 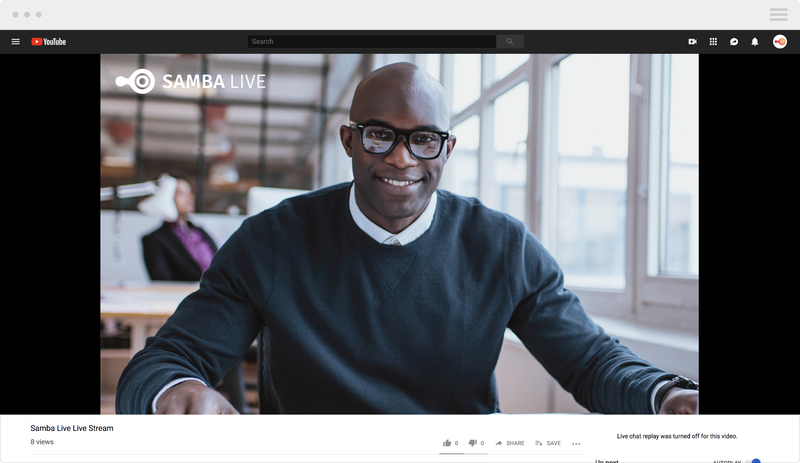 Select the your channel right in Samba Live to set up your feed. 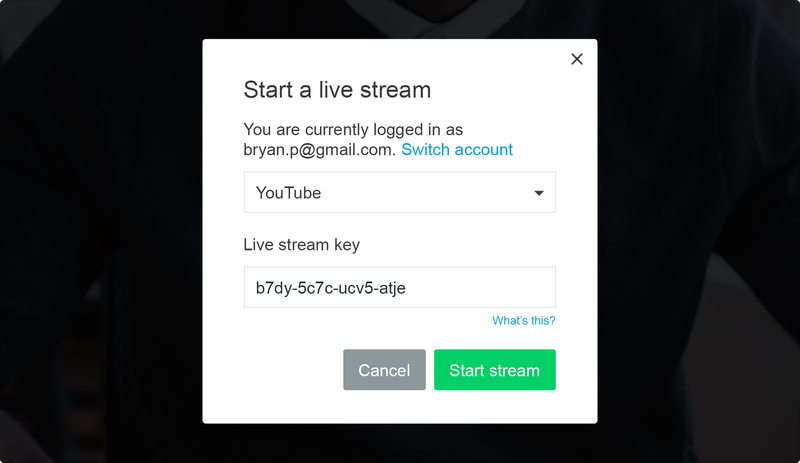 Then hit “Start stream.” You’ll note your stream is now live on Facebook or YouTube. 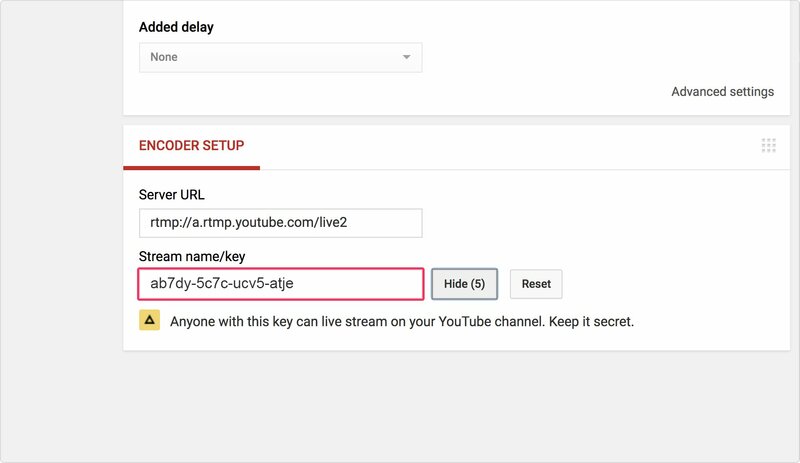 Remember — to end your session, do so from the streaming location first. A global event needing global reach. 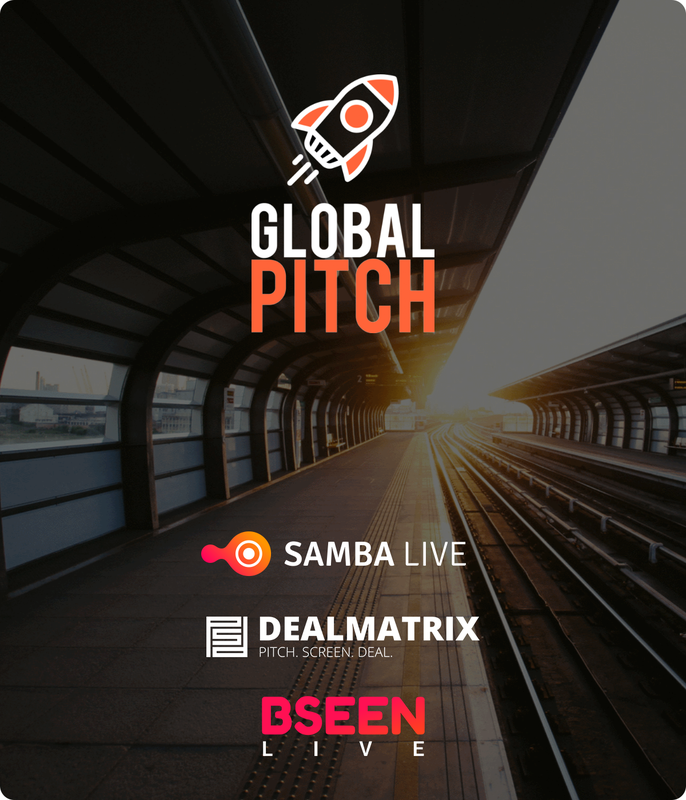 When the world's largest online pitch competition, Global Pitch, needed a platform to host their contest and stream to a global audience on Facebook — they tapped Samba Live to deliver lag free HD video, and to use a load of features to make it go off without a hitch.